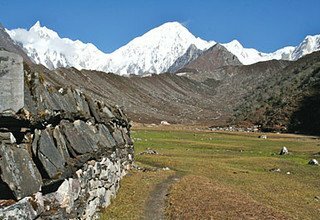 Tsum Valley and Manaslu Trek traverse Larkya-La Pass is one of the most thrilling treks in Nepal that takes to the remotest and pristine areas of Tsum Valley and Manaslu region which have only been recently opened for trekking. 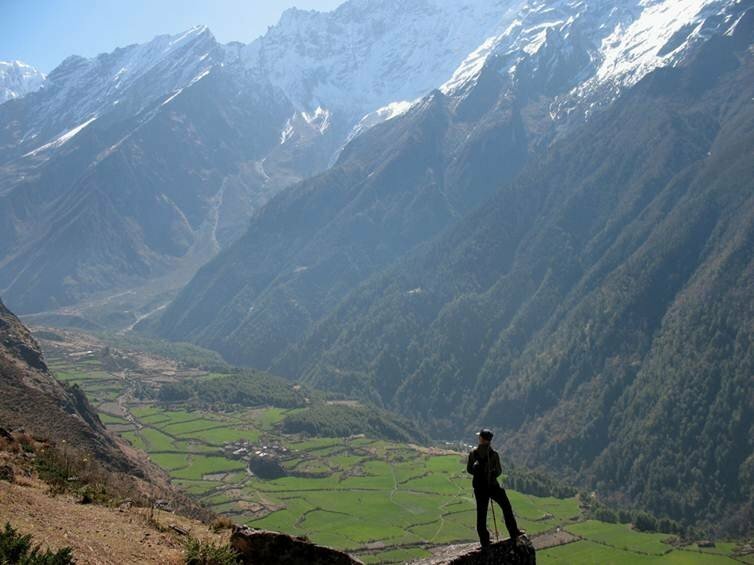 While trekking in Tsum Valley allows you to understand the practices of Tibetan Buddhism and also to enjoy the panoramic view of Ganesh Himal range, trekking in the Manaslu region allows you to walk around the eighth highest mountain in the world, Manaslu (8163m). 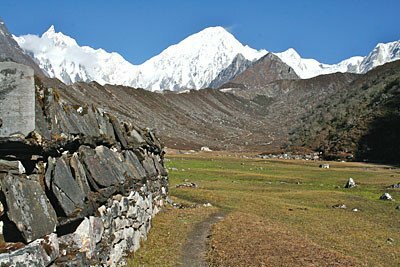 Tsum Valley and Manaslu Trek is a journey on the quiet and quaint trails of the Himalayas. 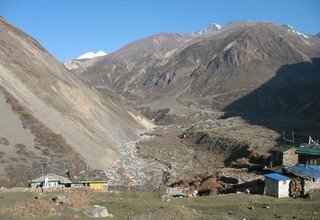 Tsum Valley and around Manaslu Trek start with a picturesque ride through the hills that leads to Soti Khola. 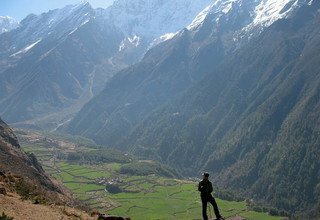 The Tsum Valley and Manaslu trekking trail pass many ridges and villages while ascending and descending alongside Budhi Gandaki River. 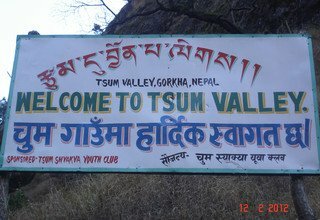 Attractions of Tsum Valley include Milarepa’s cave, a sacred cave with Buddhist paintings, and the nunneries of Rachen Gompa, Mu Gompa, and Gumba Lungdang, where trekkers are welcomed at the evening puja. 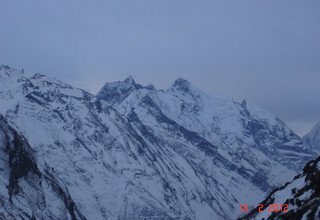 The trekkers also reach Ganesh Himal Base Camp and relish the panoramic view of Ganesh Himal range. 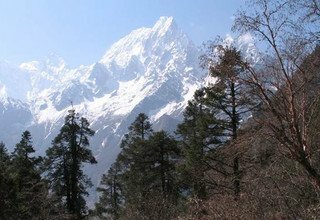 Then, the trail connects to the Manaslu circuit and ascends through several villages of different ethnicities with a ravishing view of the Manaslu range along with other surrounding Himalayas. 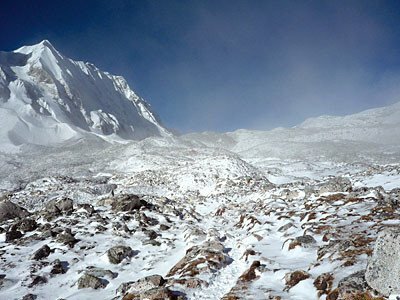 One of the highlights of the trek is walking through Larkya Glacier to cross the longest mountain pass of Nepal, Larkya-La (5160m). The trail then descends following the trails of Marshyangdi River to reach Syange, from where you drive back to Kathmandu. 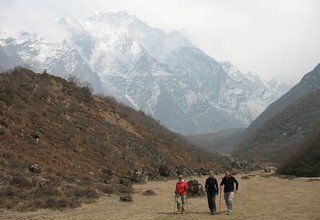 Swiss Family Treks and Expedition organizes tours and treks all over Nepal. 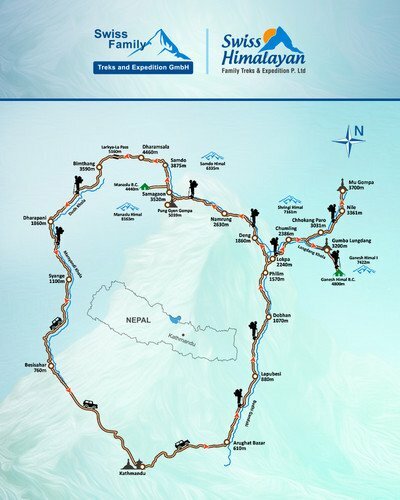 We encourage the adventurers to conquer the road less taken and trek into the remote areas of Nepal. 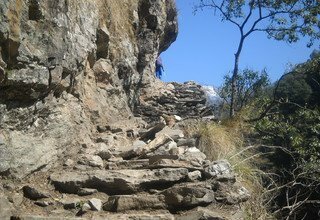 With our highly experienced and friendly guide, the trek is undoubtedly going to be exciting and will give you the best experience and memories to last a lifetime. We provide you with decent accommodations throughout the trek and provide you a private land cruiser for the off-road drives. the crystal-clear glacial lakes of Birendra Tal and Pungkar Tal. Upon arrival in Tribhuvan International Airport, Kathmandu, you will be greeted by our representatives and will be taken to your hotel. Feel free to explore the capital city. Overnight at 3-star hotel in Kathmandu. As we acquire restricted area permits for you, our tour guide will take you on an excursion of the UNESCO listed World Heritage Sites of Kathmandu Valley. Starting with the Buddhist stupa of Swayambhunath, you'll visit the Hindu shrine of Pashupatinath, and another Buddhist stupa of Boudhanath. Later, we discuss the dos and don'ts of the trip. Overnight at the hotel in Kathmandu. A westward picturesque ride along the Prithvi Highway, via the lush hills, leads us to Malekhu. Then, driving past Dhading Besi, the road turns curvy and leads us uphill to Gola Bhanjyang where enthralling views of snow-capped mountain peaks can be seen. 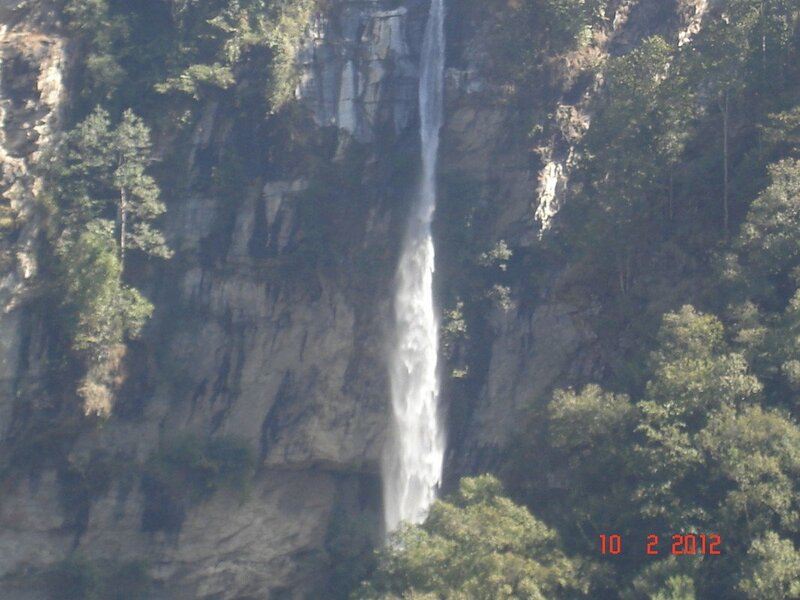 The road then goes downhill to cross Ankhu Khola, and later, at Arughat, we meet Budhi Gandaki River. A further drive up the west bank of Budhi Gandaki River finally brings us to Soti Khola. Overnight in Soti Khola. After having our breakfast, we move on the track that ascends slowly through lovely Sal forests. It then goes over forested and attached ridges past many waterfalls. 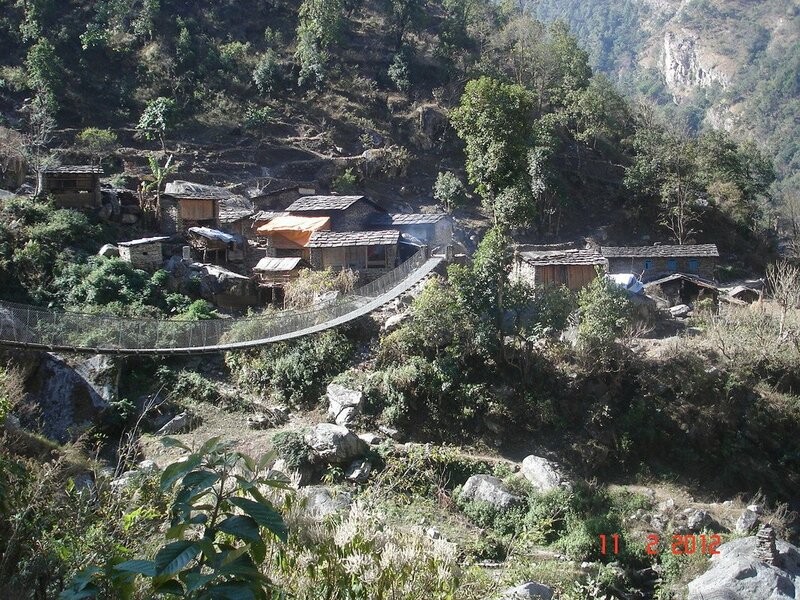 It later descends to pass rice paddies before ascending to the attractive Gurung village of Lapubesi (885m). 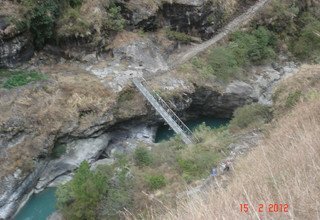 After passing a suspension bridge at the remarkable Nauli Khola falls, the gorge opens out and the track drops onto stony banks along the Budhi Gandaki River before ascending to the village of Machha Khola and continue trek until reaching Khorlabesi. Overnight in Kholabesi. After breakfast, we move forward through the narrow tracks on a meandering trail. After passing Tharo Khola, we reach Tatopani. Following the trails of Budhi Gandaki River and walking past a landslide-prone area, we cross the village of Dobhan and Yaruphant. 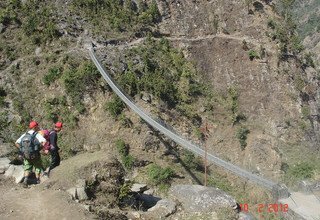 Crossing the suspension bridge over Budhi Gandaki River, we enter Manaslu Conservation Area to walk on a stone paved trail to arrive in Jagat. Overnight in Jagat. 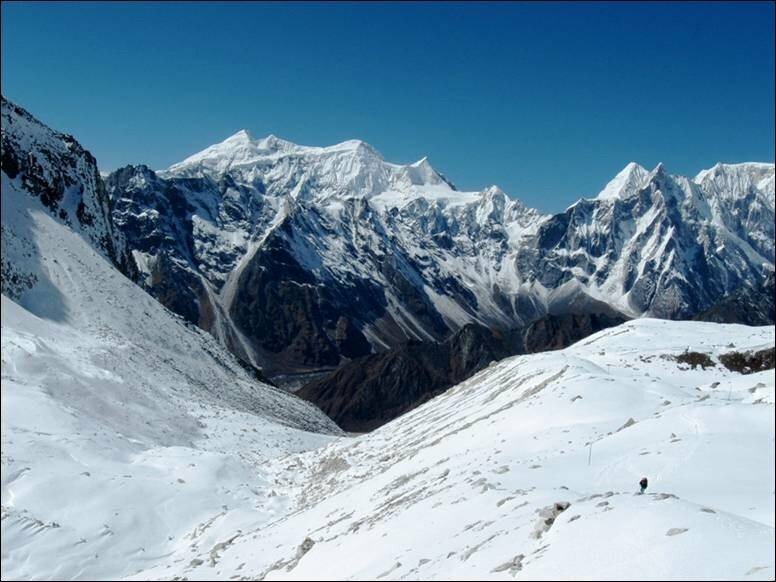 Today we enter the constrained region of Manaslu and Tsum Valley. 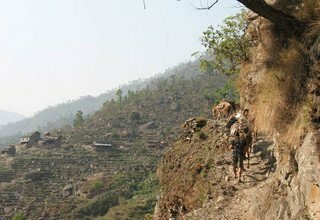 Leaving Jagat, we start walking on the riverbank of Budhi Gandaki past the settlements of Salleri, Sirdibas, and Philim. Enjoying the view of Shringi Himal (7161m), we register ourselves at the checkpoint in Philim before heading on to Ekle Bhatti. Still walking alongside Budhi Gandaki River, we arrive at a waterfall before entering the village of Lokpa. Overnight in Lokpa. 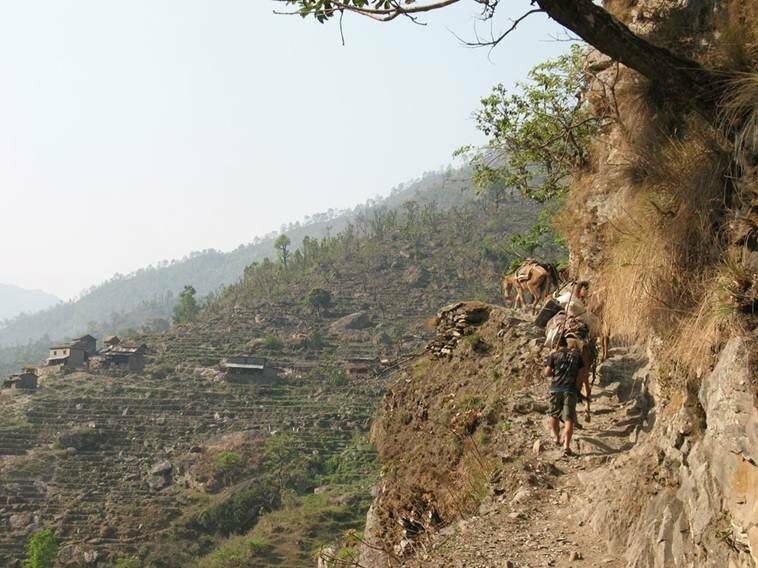 From Lokpa, we trek to Chumling walking alongside Shiar Khola on a rock fall area. 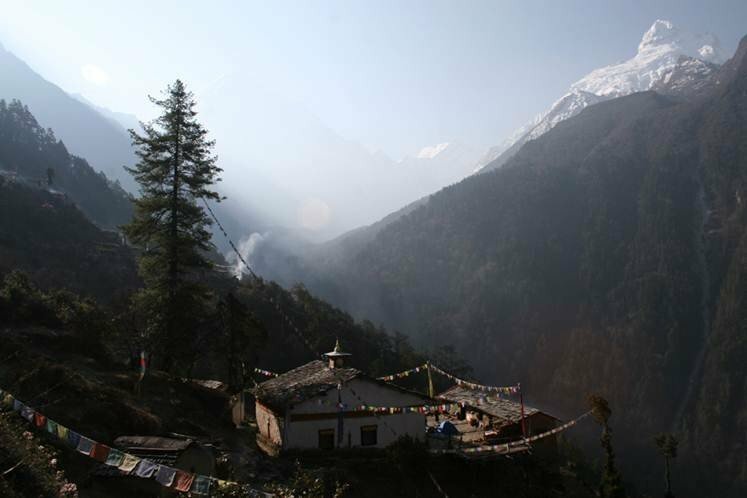 In Chumling, we can visit the three monasteries: Panago Gumba, Mani Dhungyur Gumba, and Gurwa Gumba. 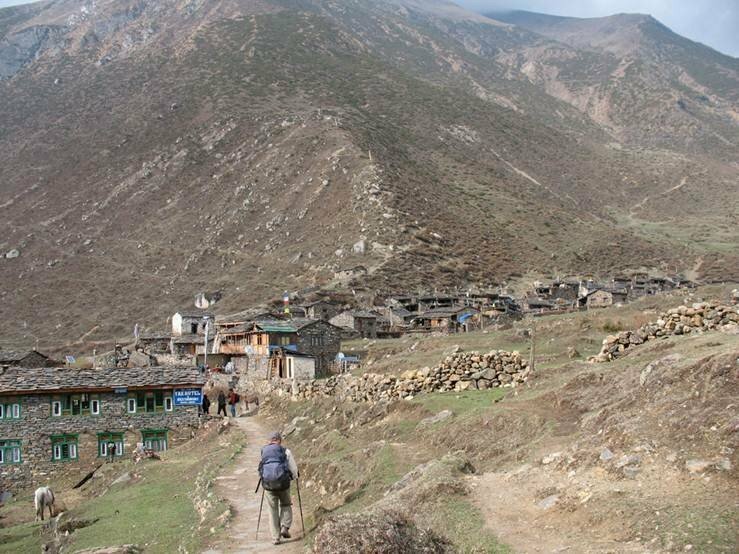 From Chumling, we continue to walk up to Domje and then to Chhokang Paro across several small streams. 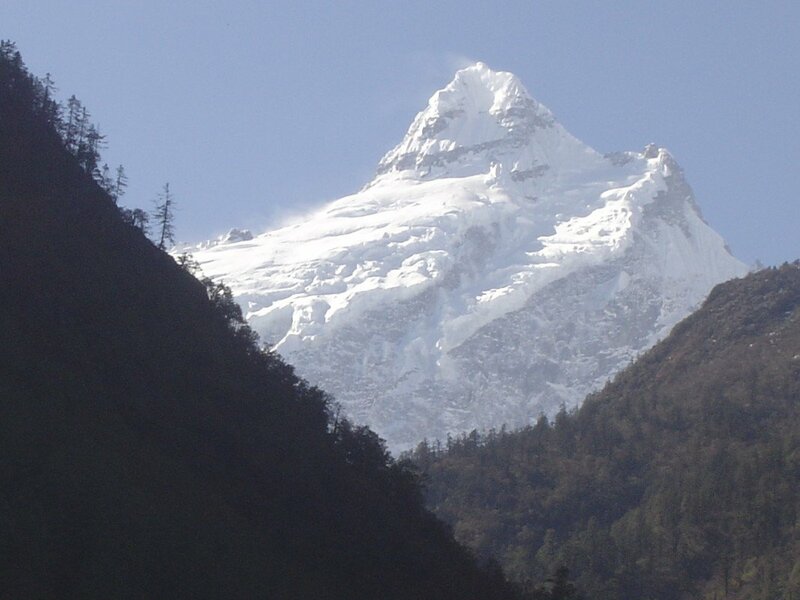 We will have an unobstructed view of Shringi Himal (7161m) throughout the way today. 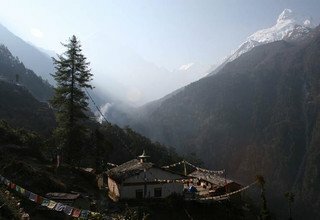 Upper Tsum valley exposes from Chhokang Paro, where the friendly local people welcome you with old-style Tibetan chiya. Overnight in Chhokang Paro. 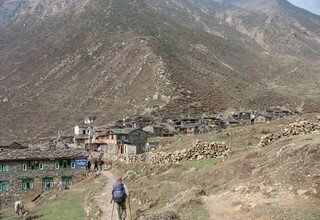 Leaving Chhokang Paro, we trek uphill alongside Shiar Khola to arrive at the nunnery of Rachen Gompa, which is an ancient nunnery of Tsum Valley. Enjoying the attractive views of the valley, we arrive at Piren Phu/Milarepa cave. Piren Phu is one of the holiest caves in the Tsum valley. Ancient Buddhist paintings, excellent creative scripts carved on stones, long prayer flags, and important Buddhists scripts make this cave one of the most significant socio-cultural asset of the valley. We continue to climb past the villages of Nile and Chule to finally reach Mu Gompa, a big monastery with 100 monks and an antique Gompa. Overnight in Mu Gompa. 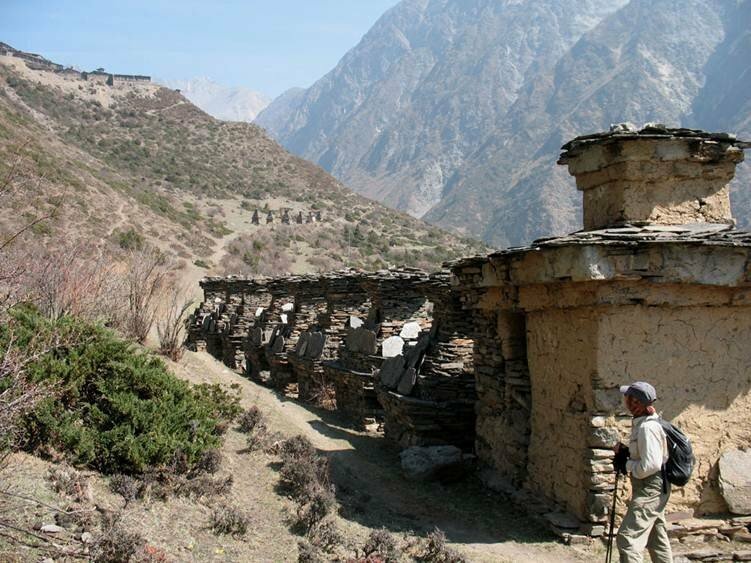 After spending the night at the nunnery of Mu Gompa, we trace our way back to Chhokang Paro. 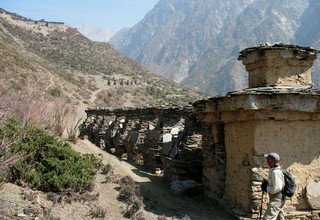 Walking past small monasteries, Mani walls, and small settlements, we arrive at the sacred Milarepa Cave before reaching the holy monastery of Rachen Gompa, the walls of which is decorated with colorful Buddhist paintings. We then follow Shiar Khola downstream to reach Chhokang Paro. Overnight in Chhokang Paro. 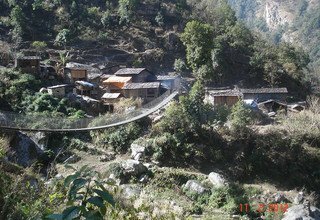 Move downhill on a narrow track via the village and to a wooden bridge over Shiar Khola. Cross the bridge to reach Domje, and then, ascend steeply on an unclear path through pines and rhododendrons until the path arrives at the Mani wall with prayer flags. Finally, make a vertical twist and climb through huge pine forest to reach Gumba Lungdang (3200m), a small nunnery on the foothills of the Himalayas. Astonishing view of the Ganesh Himal range and the other Himalayas can be seen from Gumba Lungdang. Overnight at Gumba Lungdang. 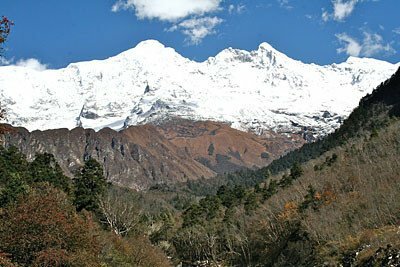 Cross Langdang Khola and climb steeply on a rough unclear track through the forest of pines and rhododendrons. 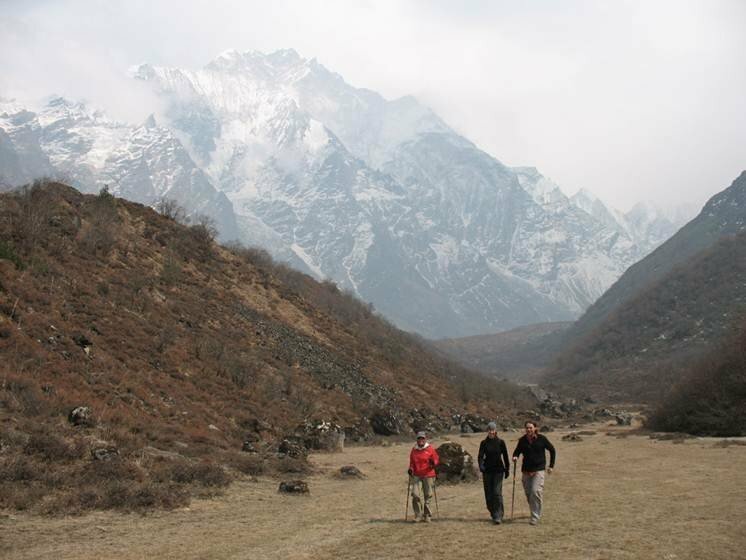 Upon arrival in Landan Kharka, we walk on the parallel moraine of Torogumba Glacier. 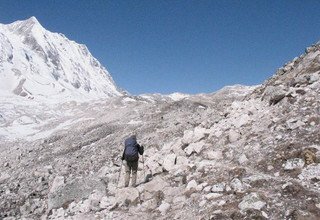 Walking on the steep, icy, and slippery trails of Torogumba Glacier, we arrive in Torogumba Kharka before reaching Ganesh Himal Base Camp. 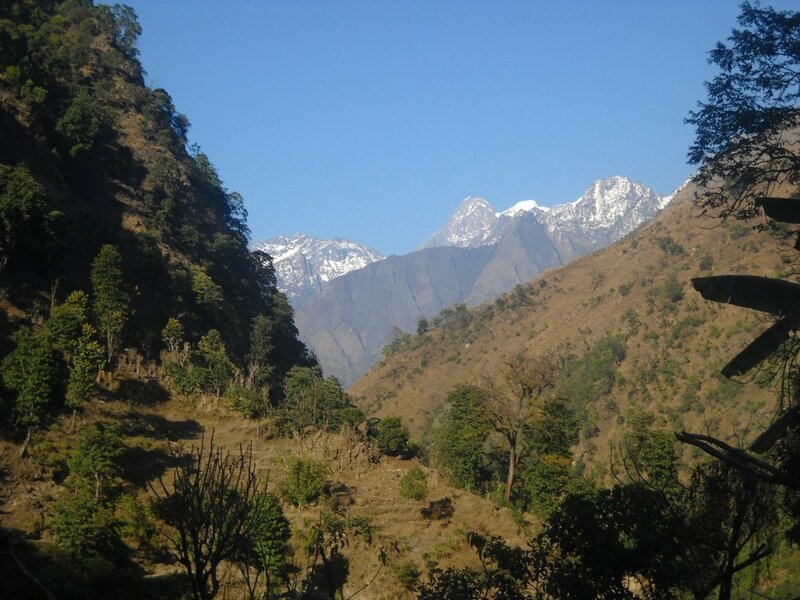 From the base camp, a breathtaking view of the Ganesh Himal range can be observed. Later, hike back to Gumba Lungdang and attend the night puja. Overnight at Gumba Lungdang. Today, we retrace our way back to Lokpa following a rising path. Arrive in Domje following Landang Khola and the walk on the south bank of Shiar Khola. Passing several small streams and monasteries, we arrive at a micro-hydropower station in Ripchet. 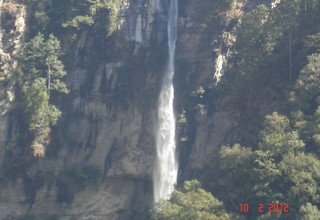 Then, climb down a rock fall area past the small settlement of Gumlung, and walking through the Sarti Gorge, we cross Lungwa Khola to finally arrive in Lokpa. Overnight in Lokpa. 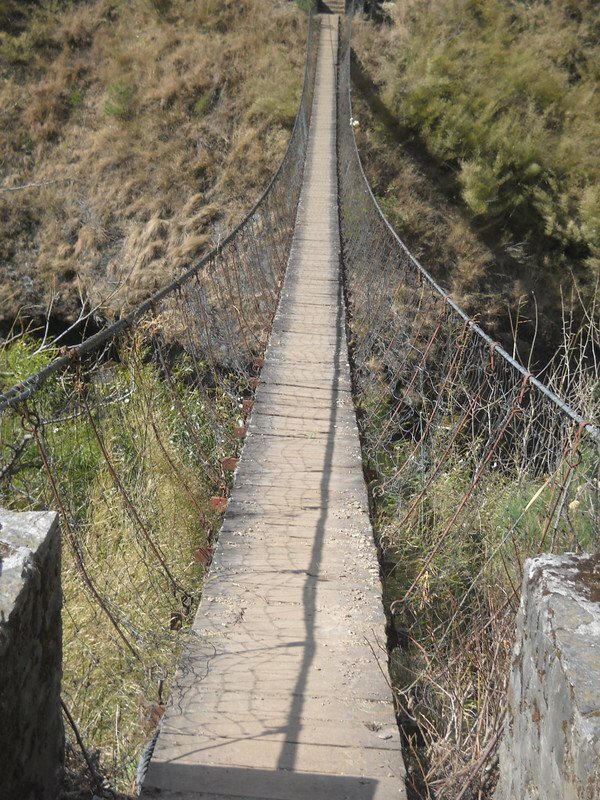 Cross the suspension bridge over Budhi Gandaki River and leave Lokpa to enter Nyak. 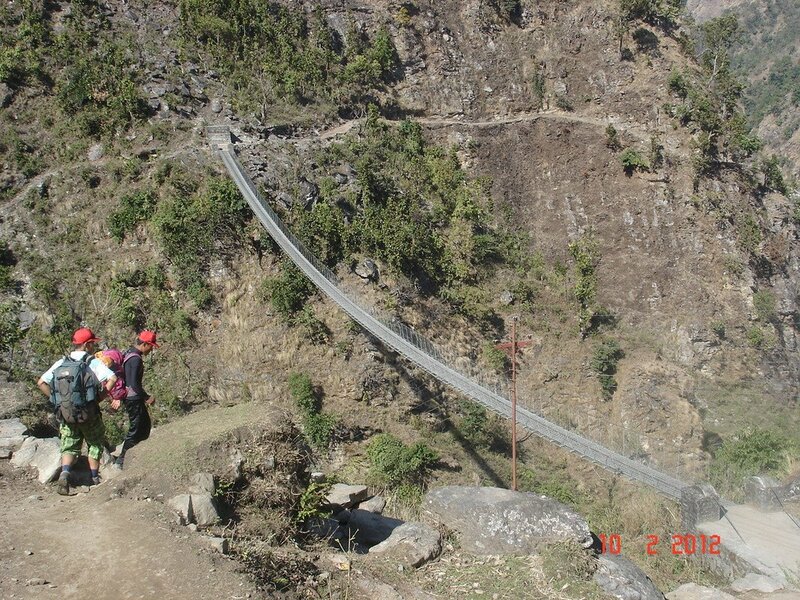 Then continue walking uphill on the gorge of Budhi Gandaki River to arrive in the Gurung village f, Deng. Enjoying the view of Shringi Himal (7161m) on the backdrop, we cross Mani walls and several bridges over Budhi Gandaki River to finally arrive in Ghap. Overnight in Ghap. Ascend on a landslide prone trail uphill and cross Mani walls, meadows, and houses through fir, rhododendron and oak forests before climbing to Lihi. Continue the walk uphill past the village of Sho, from where you walk on a landslide area to reach the small village of Lho. There are outstanding views of Manaslu (8163m), Himal Chuli (7893m), Ngadi Chuli (7971m), and other surrounding mountains throughout the trek. Overnight in Lho. Climbing alongside Budhi Gandaki River, we pass several small monasteries and Chortens enjoying the view of Manaslu massif and arrive in Shyala. 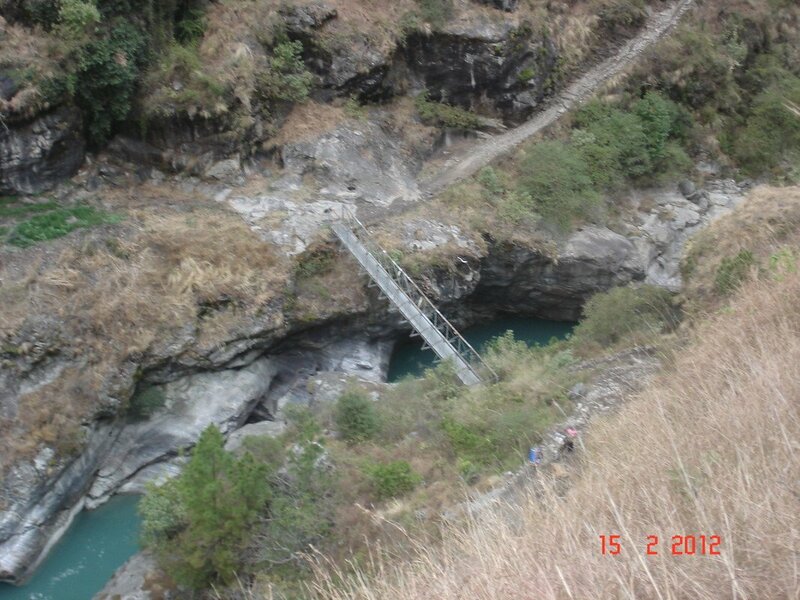 The track then passes a bridge over Numla Khola that flows from the Punggen Glacier. 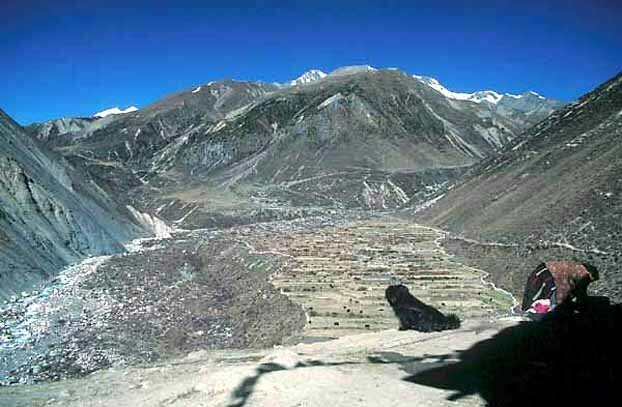 Descend to the broad valley, cross a school and a large Chorten that leads to a series of houses with front yards that form the main portion of Sama. 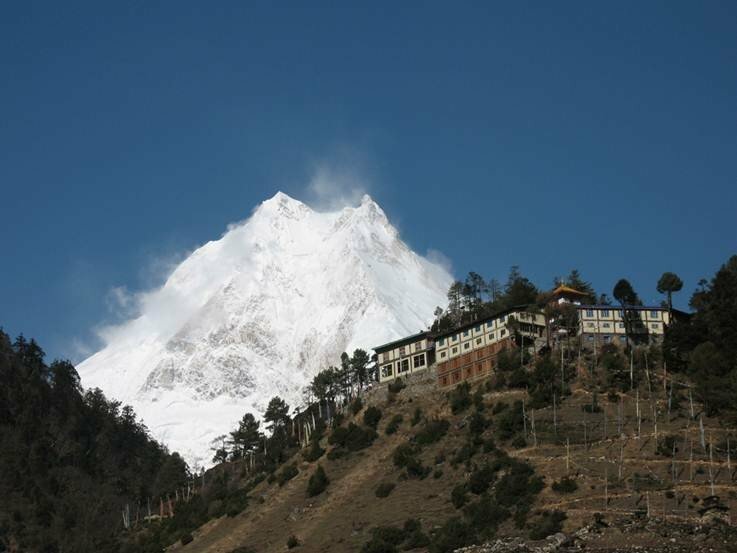 The Pema Chyoling Lhakang Monastery is at the end of the village against the moraines of Manaslu Glacier. 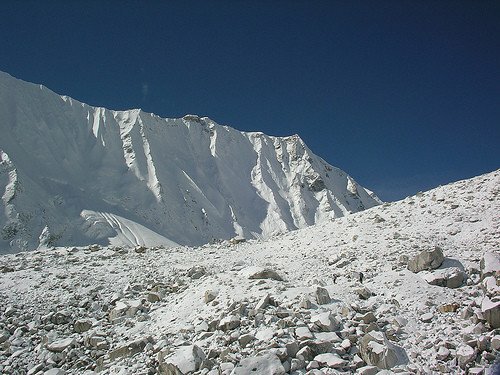 View of the Manaslu range, Naike Peak (6211m), and Larkya Peak (6249m) are seen from Samagaon. Overnight in Samagaon. Descend towards Budhi Gandaki River, that has turned north, and pass the track that leads to Birendra Tal and Manaslu Base Camp. This is an easy track above the river via juniper and birch forests that bound Kermo Kharka. 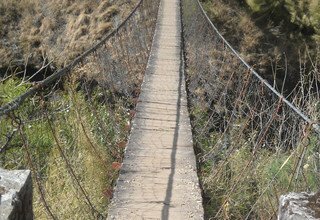 Further on, the trail ascends to pass Budhi Gandaki River through a wooden bridge and continue walking on the riverbed before crossing the Mani walls to reach Samdo. 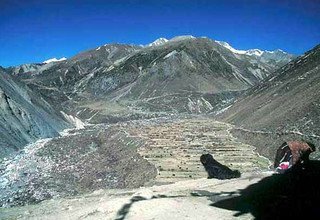 Enjoy the view of Samdo Peak (6335m) and its amazing glacial basin to the east, the Sama Valley and its arrays to the south, while to the west is a bird’s eye view of the northern Syacha Glacier from Manaslu. Overnight in Samdo. Cross the northern village fields to reach Budhi Gandaki River for the last time at the Larkya Bazaar site. The river moves north up the Pana Danda Valley. 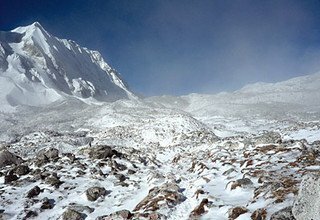 Walk along the westward track above Syacha Glacier. The source of the Syacha Glacier that goes downhill from the Manaslu North point comes into sight. 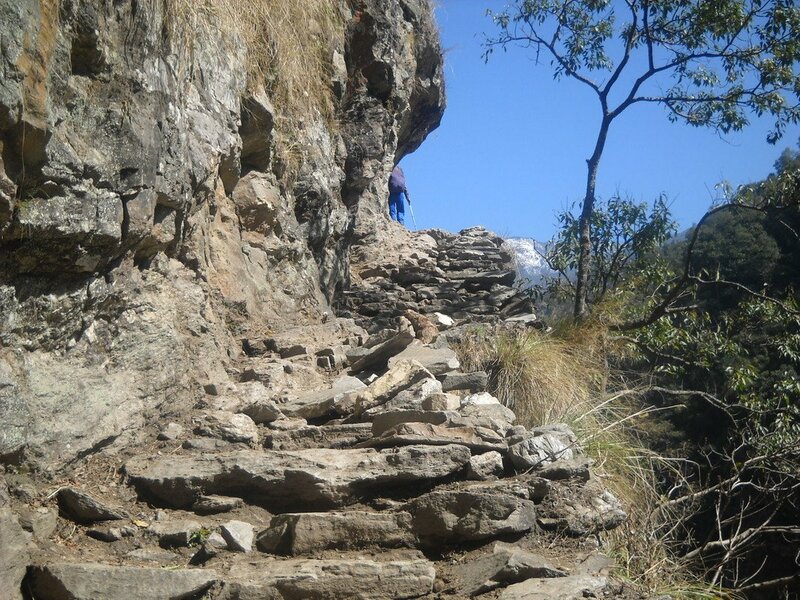 The trail ascends up the gorge towards the Larkya Glacier outside the Larkya La Phedi in Dharamsala. 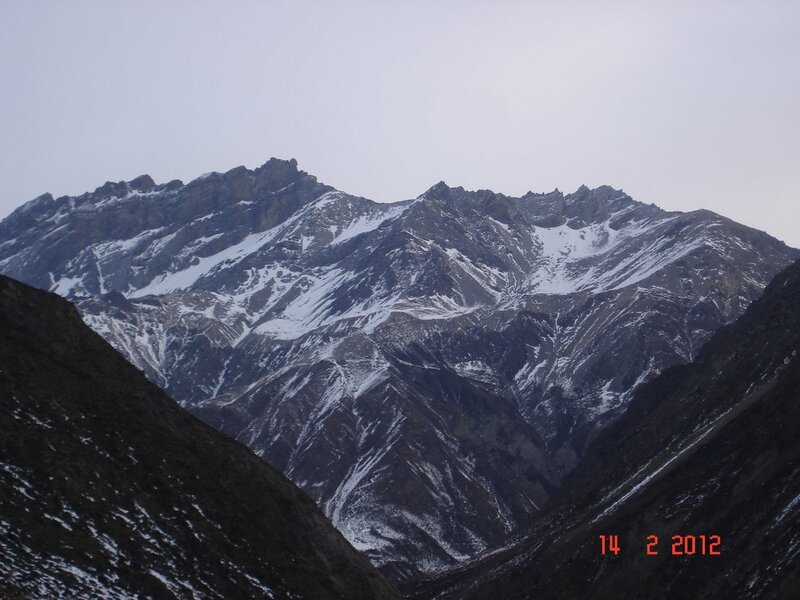 Dharamsala offers a great view of Larkya Peak (6249m) and Naike Peak (6211m). Overnight in Dharamsala. 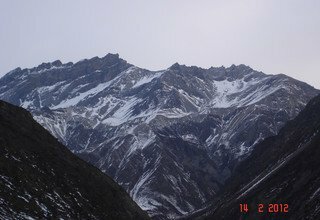 From Dharamsala, the trail ascends to a ridge followed by a slow climb to the vast and untidy moraine of Larkya Glacier. A short walk leads to a gorge followed by a descent to the first of four small scattered frozen lakes. 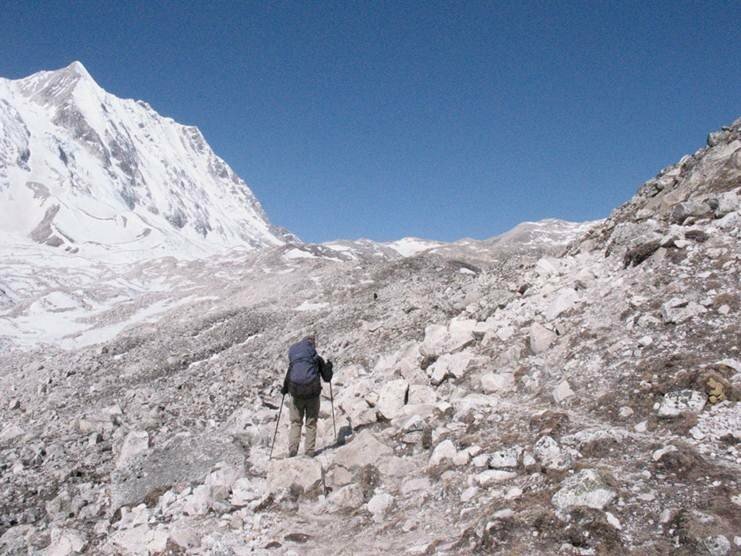 Finally walking through Larkya Glacier, we reach Larkya-La Pass (5160m), which is the longest mountain pass in Nepal. Enjoy the mountain-view comprised of Cheo Himal (6812m), Himlung (7126m), Gyaji Kung (7030m), Kangguru (6981m), and Annapurna II (7937m) seen from the top of Larkya-La. Descend to Dangboche Kharka, from where the track follows the curve of the side moraine of the Salpudanda Glacier into the beautiful Bimthang Valley. Overnight in Bimthang. Descend from Bimthang to cross the stony glacier to reach the pristine rhododendron and pine forest. The trail goes downhill along the west bank of Dudh Khola as we pass Hompuk and Sangure Kharka before going down to the highest cultivated land at Kharche. 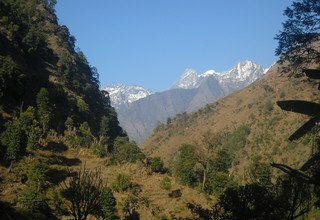 Trek through the forested land to the Gurung village of Tilje, then, descend rapidly towards Marsayangdi Valley through the scrub forest. Pass the west bank just before Thonje, and then, cross Marsayangdi River to arrive in Dharapani. Overnight in Dharapani. Today is the last day of trekking as we walk down to Syange following Marsayangdi River downstream. We walk through a landslide, through Mani walls, through the thatch housed village of Tall, through waterfalls, and through the settlements of Sattale, Chamje, and Jagat to finally arrive in Syange, situated on the bank of Marsyangdi River. Overnight in Syange. We take a long drive, through the lush hills and bumpy roads with countryside views back, to Kathmandu today. Upon arrival, you can either rest or shop around the city. You can also taste the local food of Kathmandu. Overnight in Kathmandu. You will be taken to Tribhuvan International Airport 3 hours before the scheduled time of your flight back home. Join with us on a Tsum Valley and Manaslu Trek traverse Larkya-La Pass in 2019/2020. Note: In case of emergency during the trip, Helicopter will be arranged by Swiss Family Treks & Expedition GmbH. The charges most be paid by the clients themselves. * Airport/Hotel/Airport pick up and transfer by private car/van. * 3 nights deluxe accommodation with breakfast at 3* Hotel Marshyangdi in Kathmandu. * Lodge to lodge accommodation in lodges during the trek. * 1 experienced, helpful and friendly guide, porters (1 porter for 2 persons), their food & accommodation, bus ticket, salary, equipment and insurance. 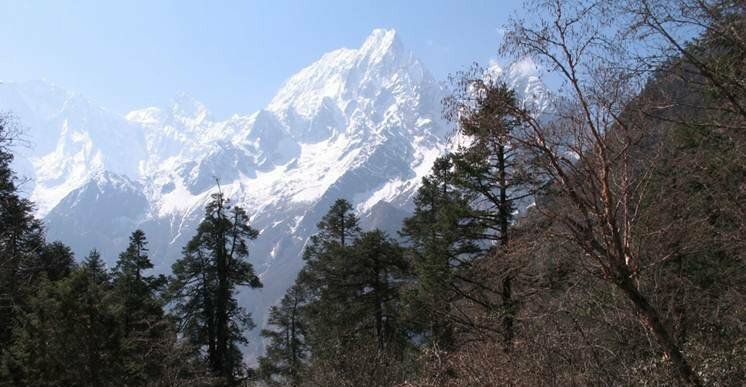 * Manaslu Conservation Area Permit. 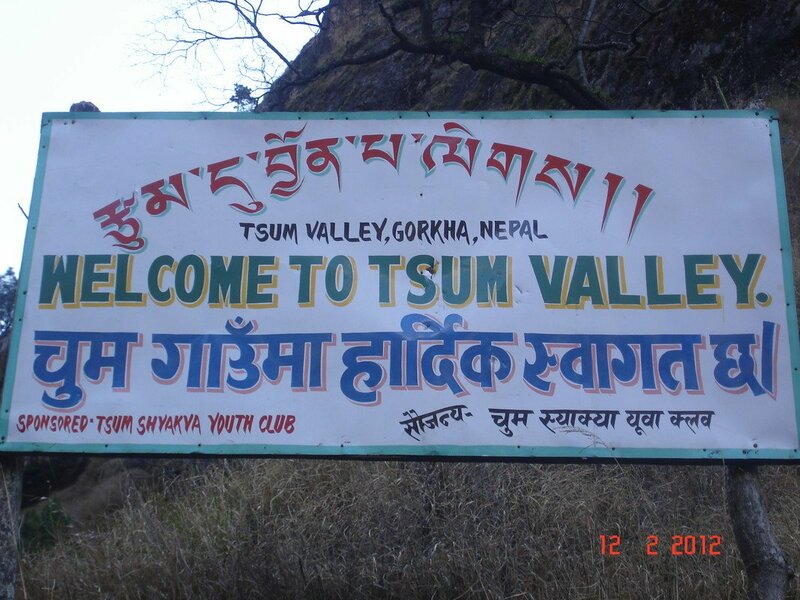 * Tsum Valley Restricted Area Permit (35 USD for first 8 Days). * Manaslu Restricted Area Permit (70 USD/7 Days). 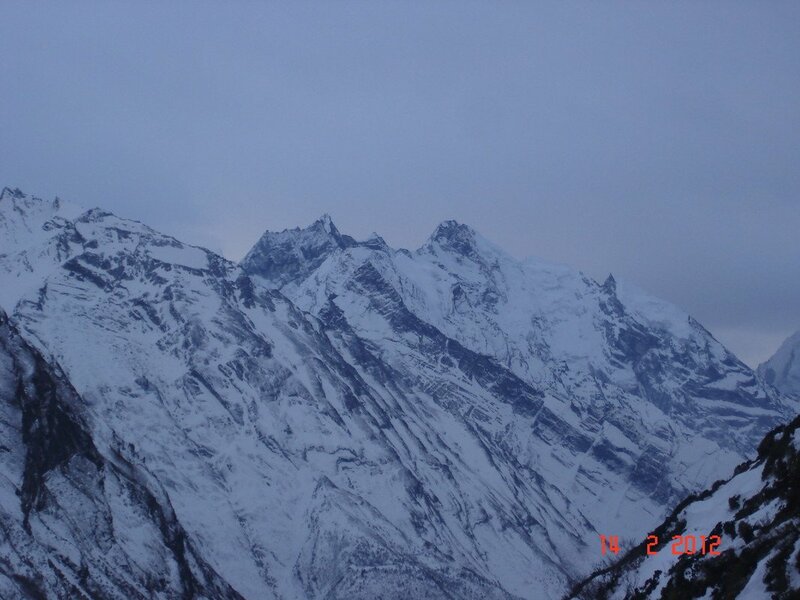 * Annapurna Conservation Area Permit. * All transportation by 4W private vehicle. * First Aid Medical Kit box. * Any meals (Lunch and Dinner) in Kathmandu other than breakfast. 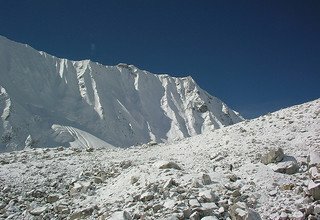 Lieber Stephan, wir haben dank eurem Guide Birendra den Larkya-La Pass trotz Schneesturm überqueren können und so eine unvergessliche Umrundung des Manaslu erleben können! Birendra zeigte viel Einsatz und Willen während des ganzen Treks. Den Abstecher in das Tsum-Valley mit wilden Affen an Ufern von reissenden Flüssen und zahllosen weissen Gipfeln werden wir nicht vergessen! Besten Dank für alles und herzliche Grüsse aus dem Appenzellerland.